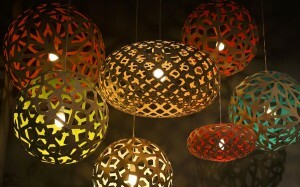 Lighting company Lightopia, founded in Laguna Beach in 2006, is moving in June to South Coast Collection in Costa Mesa. The store sells modern lighting fixtures, including the Italian brand Flos and California designer Cerno. Over the next two months Lightopia will sell merchandise at its Laguna Beach store 25 percent to 75 percent off. There will also be a garage sale April 30 to sell warehouse items. 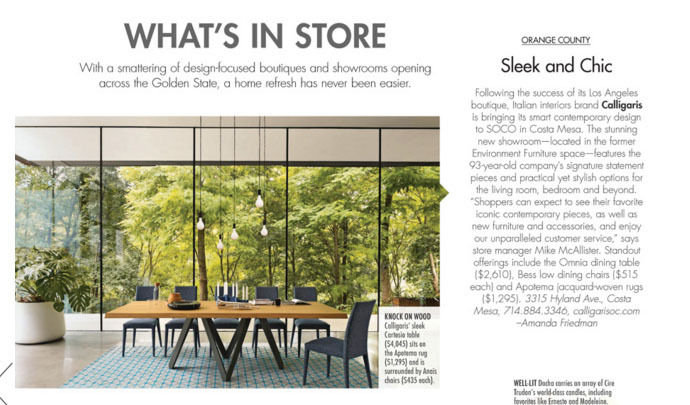 Furniture shop Room & Board also will relocate its Costa Mesa showroom this fall from South Coast Plaza Village to SoCo. Taco Maria is the finest fine-dining Mexican restaurant in Costa Mesa right now. A local boy who eventually became the pastry chef at a Michelin-starred restaurant called Commis in Oakland, chef and owner Carlos Salgado returned to OC a few years ago to sling tacos and burritos out of a lonchera he named after his mom, Maria. But the truck, as great as it was, turned out to be just warm-up to this brick-and-mortar. At his now nationally-acclaimed restaurant, also called Taco Maria, Salgado has traded tacos for the sophisticated Mexican of alta cocina. A meal here will come at a leisurely two-hour pace, each course served with its own set of utensils. With a small crew and working in a kitchen in full view of his customers at the OC Mix, you can see Salgado is where he was always meant to be. He prepares only eight dishes, each of them thoughtful and flawless, served four per person for about $75 a head. The thing to do, of course, is to bring a friend, have them order the other four dishes, and then share each one. Read the Full Publication Here! 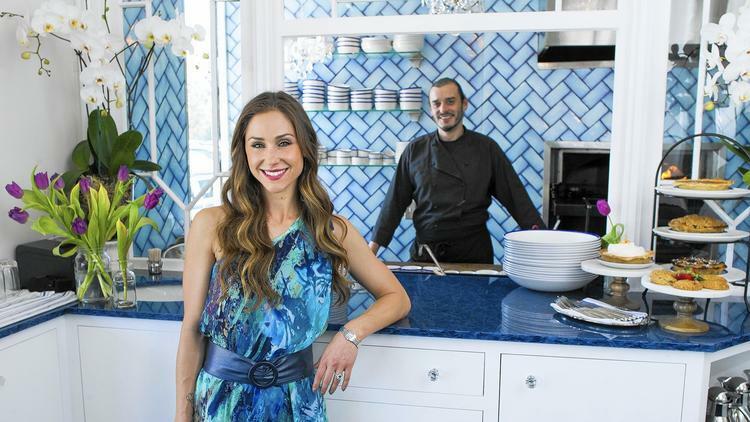 If Arc restaurant has shown the “dark side” of Noah and Marin von Blom — Costa Mesa’s award-winning duo of restaurateurs behind the DirtySexyHappiness Hospitality Group — their newest venture, Restaurant Marin, proves there’s a lighter side as well. The intimate, diner-inspired venue adjacent to Arc in Costa Mesa’s South Coast Collection will officially open Monday after hosting soft openings in March. But unlike Arc’s dark but cozy living-room atmosphere, Restaurant Marin’s decor is bright and airy — coastal California meets Parisian cafe, with blue and white accents. SOCO and The OC Mix – Travel Costa Mesa from Devon Hillard on Vimeo.